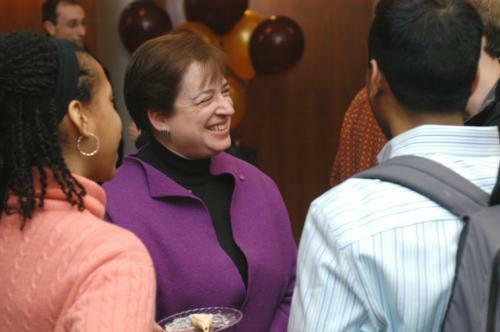 Harvard Law School Dean Elena Kagan will be nominated to serve as President-elect Barack Obama's solicitor-general, the administration's representative to the Supreme Court, Obama announced in a press release Monday morning. If confirmed by the Senate, Kagan will represent the federal government, party to about two-thirds of cases brought before the high court, and play an integral role in shaping the legal strategy of the incoming administration, working under Obama's nominee for Attorney General, Eric Holder. "I am honored and grateful, awestruck and excited, to be asked to contribute to this most important endeavor," Kagan wrote in an e-mail to the Law School community. Kagan added that she viewed the post as an opportunity to "help advance this nation's commitment to the rule of law at what I think is a critical time in our history." If confirmed, Kagan would be the first female solicitor general, apart from Barbara D. Underwood, who served as acting solicitor general for the first few months of the Bush administration. Kagan announced that she plans to take a leave of absence from the faculty of the Law School and resign the deanship, which she has held since 2003. During her tenure as dean, she has drawn acclaim from some circles for bridging ideological divides among the faculty, poaching several renowned professors from rival law schools, and ushering in a slew of student-oriented reforms. "It has been both the joy and the privilege of my life to serve as dean of this most wondrous law school," she said. University President Drew G. Faust lauded Kagan in an e-mailed statement, saying that because of her, "the student experience is richer, the curriculum fresher, and the school continues to enhance its worldwide leadership in legal education and scholarship." Though Kagan has never argued a case before the Supreme Court, Fried said that her lack of experience before the court is secondary to her time at the Law School. In an interview over the weekend, Charles Fried, one of Harvard's noted conservatives and a solicitor general under Ronald Reagan, said that “some of the justices might appreciate" that Kagan is a "fresh face." “Several hundred Harvard Law students are about as tough an audience as you can get,” Fried said. During her time at the Law School, Kagan has taught constitutional and administrative law. She became dean after just two years as a full professor, succeeding Robert C. Clark as dean in 2003. Kagan clerked for Supreme Court Justice Thurgood Marshall and U.S. Appeals Court Judge Abner Mikva before serving as a domestic policy adviser under President Clinton. Kagan has supported Obama, a Law School graduate, in the past, and the two met when they served on the faculty of the University of Chicago Law School in the early and mid-1990s. In addition, during their time at Harvard Law School, which did not overlap, both Kagan and Obama served as research assistants to constitutional law professor Laurence H. Tribe ‘62, who in recent years has generously praised Kagan and emerged as a close adviser to Obama. The announcement marks a continuation of Obama's push to put in place his cabinet and key advisers sooner rather than later. By contrast, President Bush's first solicitor general, Theodore B. Olson, was nominated on Feb. 14, 2001 and did not take the oath of office until June of that year. Faust said that she will consider appointing an acting dean to run the Law School if Kagan departs, but that "the nature and timing of our own next steps [are] dependent on the course of the Senate's confirmation process." —Staff writer Athena Y. Jiang can be reached at ajiang@fas.harvard.edu. —Check TheCrimson.com for updates throughout the day.